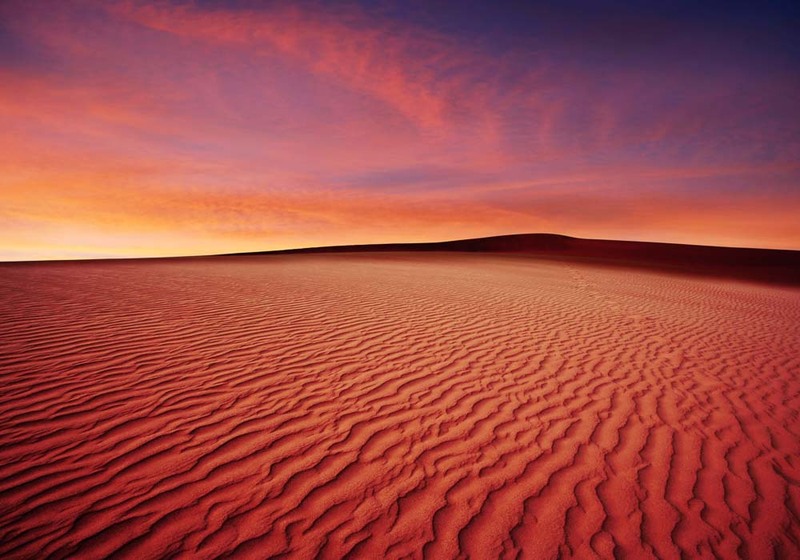 Image: Sunset over the rippled dunes of the great Sahara. Dusty streets, terracotta buildings, huge skies. Zagora, in the south-east of Morocco, is a place that is inextricably linked with the Sahara Desert. Named after the nearby mountain, Zagora was once a stronghold of the Almoravid people, and their legacy can still be seen in the surrounding hills. 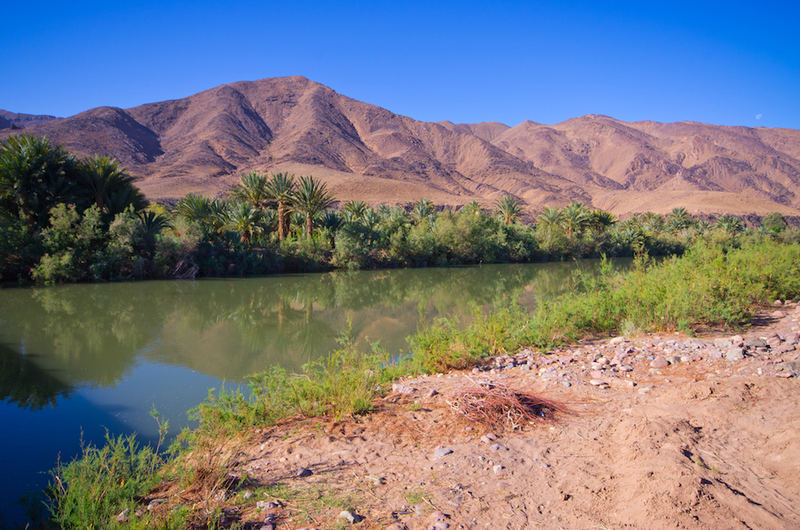 Outside the town is the amazing Draa Valley, which follows the twists and turns of the river - an unforgettable place where thick groves of palm trees line the twists and turns of the river, while the Jbel Saghro mountain range rises in the background. The culture you’ll find in Zagora is very different to that of the northern towns and cities. While you’re here make time for the Musee des Arts and Traditions de la Vallee de Draa. This wonderful building is dedicated to the Amazigh way of life in the Draa Valley. With plenty of exhibits including jewellery, weapons, and even wedding outfits, this is a fascinating insight into the lives of the desert people. And don’t miss the Festival of the Nomad in the nearby village of M’hamid where tribes from all over Morocco congregate to celebrate their unique culture. 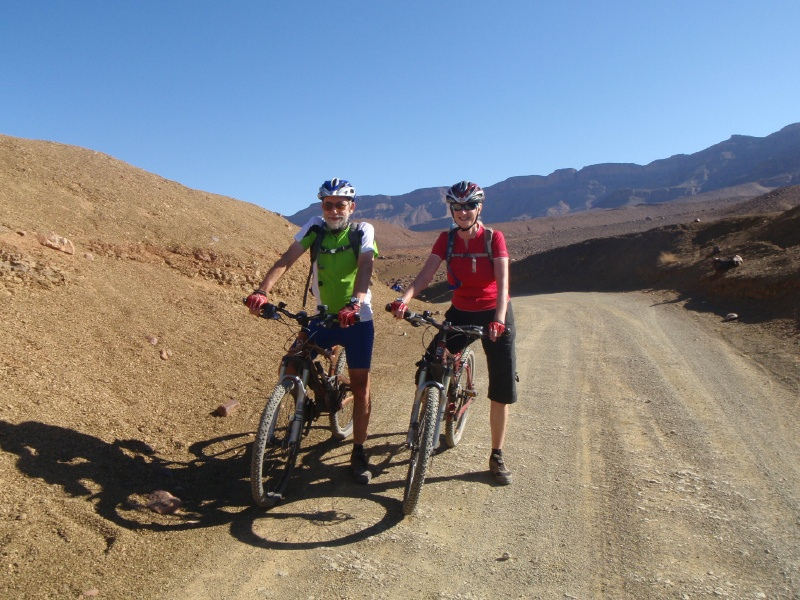 The area around Zagora is ideal for enjoyable winter and spring riding. 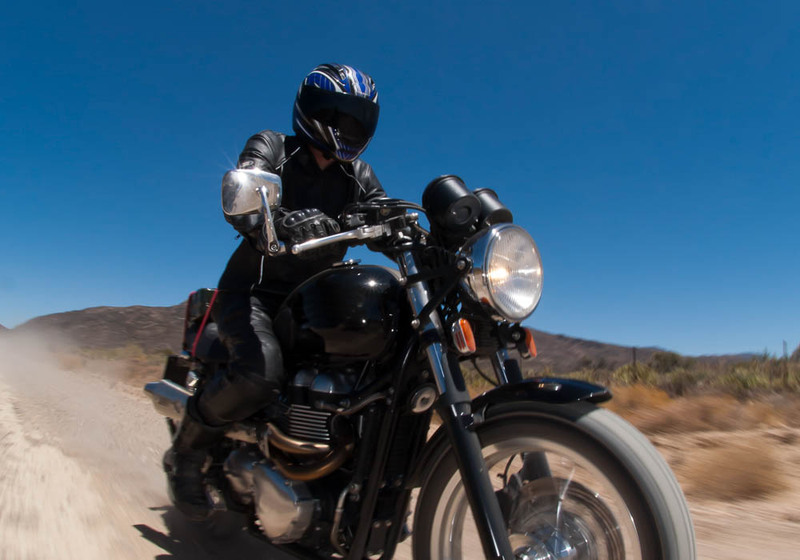 The weather at this time of the year is warm, but not overpoweringly hot, and riding in the desert under the Moroccan sun is an amazing experience. The roads in the area are mainly good quality and work is ongoing to ensure that all roads are maintained. Once outside the town the road climbs gently up the Draa Valley, a lush valley lined with palm trees and greenery. As you approach the high points, make sure you take time to enjoy the stunning views of the area. If you’re more of an off-roader then you’ll find all the challenge that you could ever want, whether it’s dried up lakebeds, steep valley sides, or the sand of the Sahara itself. 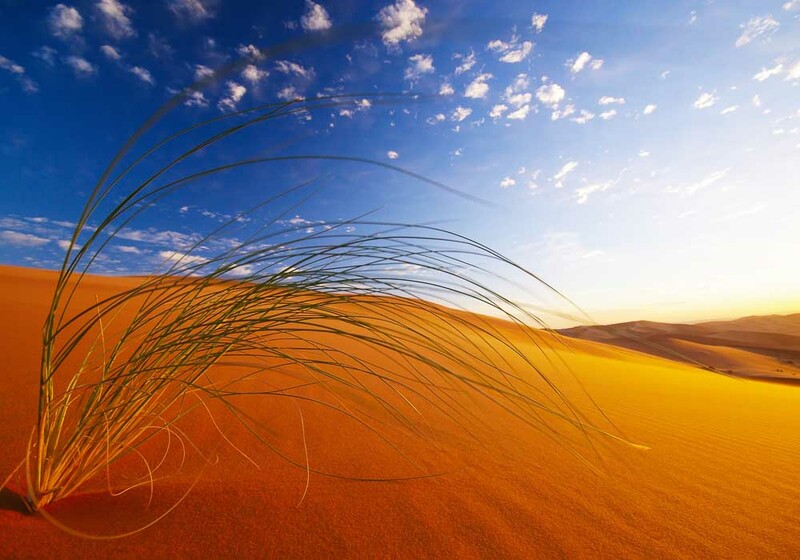 The southern town of Zagora rests in the sands of the Sahara, making it an ideal base from which to take a desert trek. But it’s not all endless sands as far as the eye can see. You can explore along the banks of the Oued Draa River, which bustles with wildlife, or travel by foot, 4×4, or camel through fields of date palms and into the stunning Draa valley. The area retains its age-old charm with signs proclaiming that, if you were so inclined, it would take 52 days to reach Timbuktu by camel, (although we’d recommend getting the bus). Hire a local guide or join an organised excursion, but make sure a desert trek is at the top of your ‘to do’ list. If you want a family holiday that is a world away from the usual beaches and theme parks, then a trip to Zagora is ideal. It’s a place where children can enjoy exploring the natural side of the world, in an environment that will captivate them. Try a trek to the Draa Valley where your children can go fossil hunting or look for animals. The river that runs through it is perfect for a boating trip, and you’ll see traditional Amazigh villages and exotic wildlife. 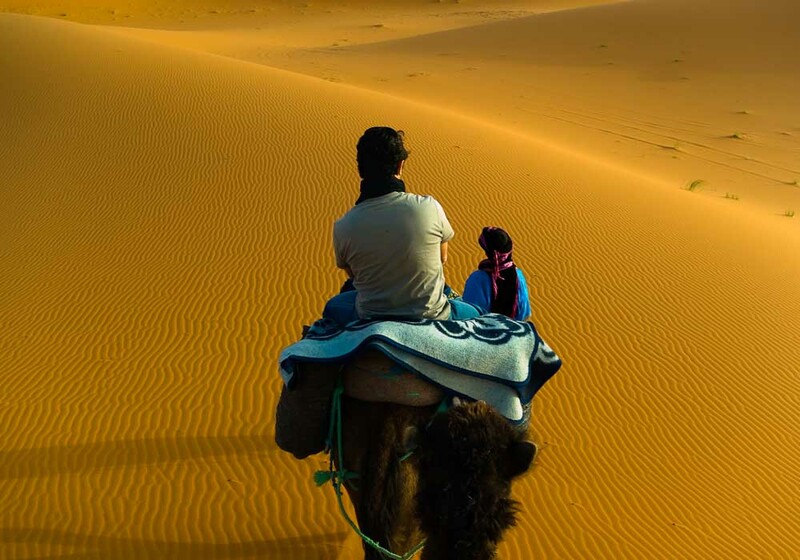 A trip into the desert is a must, and what child could resist the chance to ride on a camel? 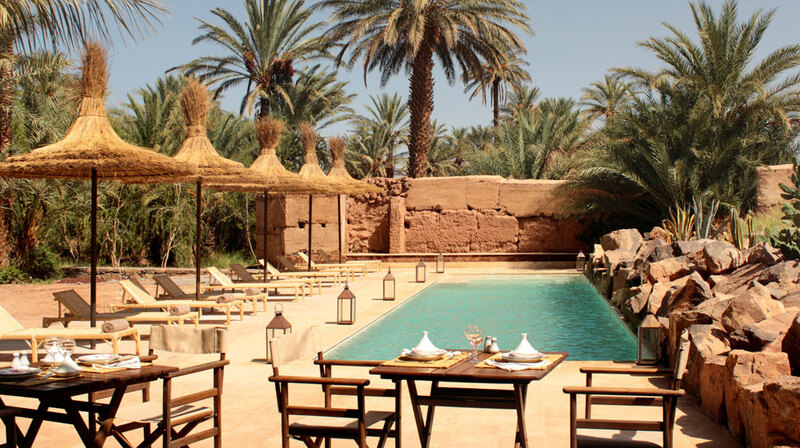 When it’s time to eat in Zagora you’ll have plenty of options for your dining pleasure. There are many restaurants in town, most towards the centre, and they serve a wide selection of traditional Moroccan dishes – fill your plates with couscous, tagines, or perhaps Madfouna – the ‘Berber Pizza’. 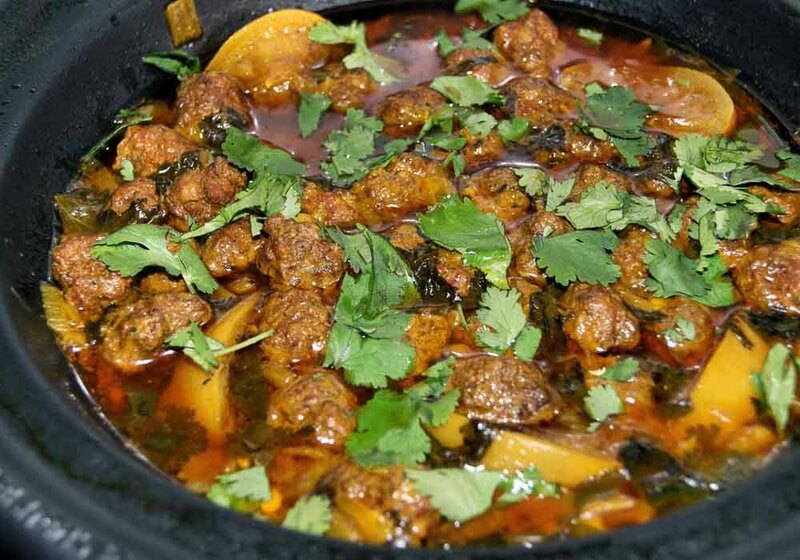 These delicious dishes have the dough on the outside, and are filled with all sorts of different foods such as lamb, steak, eggs, beef and vegetables. It’s also worth visiting the souk and selecting your own wonderfully fresh food from the friendly stall holders. 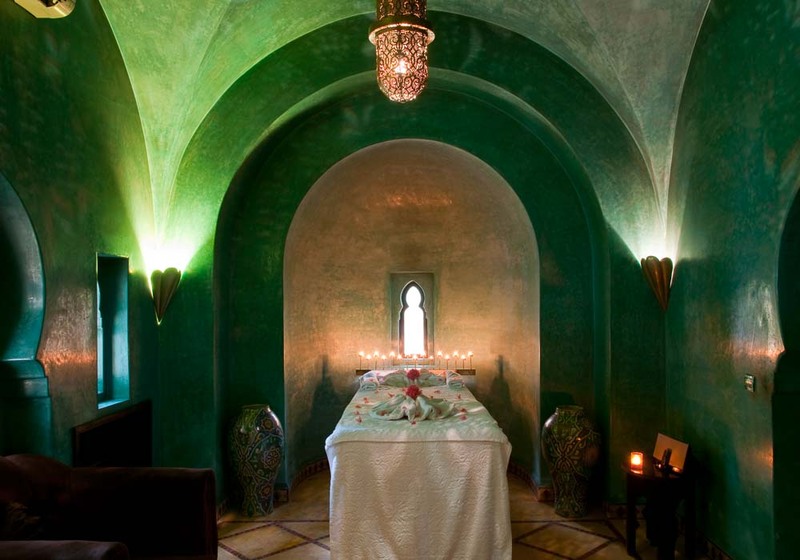 After a long hot day in Zagora, why not refresh yourself with a trip to a traditional hammam? There are several of these Moroccan bath houses in the town, usually family owned and run, and are an ideal way to cleanse yourself after a trip to the desert. They’re also a great way to meet local Moroccans, who use their trips to the hammam as a social occasion as well as somewhere to get clean. As well as the hammams in town, many hotels offer the same service. These are usually more similar to western style spas and more expensive than the traditional offerings, so the choice is yours! If you’re taking a motorbike tour of Morocco, then at some point in your trip you must make it to the desert, and where better than Zagora? It’s in this part of the world that you can bike into the Draa Valley, one of the most scenic parts of the country. The landscape is breathtaking and the fast sweeping bends are an absolute joy to ride. There are also plenty of opportunities for you to take your bike off road, how can you possibly resist the opportunity to say you’ve ridden in the Sahara? The people of Zagora have been shaped by their environment for many years. 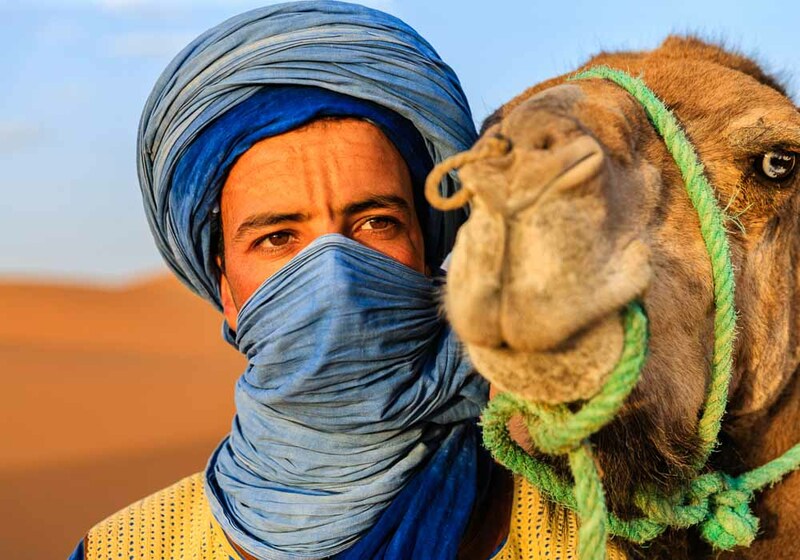 Centuries living on the edge of the desert have forged a strong sense of independence into these Moroccans, but at the same time they are friendly and welcoming to visitors to their town. A mix of Arab and Amazigh, they have a proud past, and much of their ancestry can be traced back to the Almoravid dynasty who had a strong presence in this area during the eleventh century. If you’re looking for somewhere to go to get away from it all, rest, relax, and reconnect with yourself and nature then Zagora is the place to do just that. 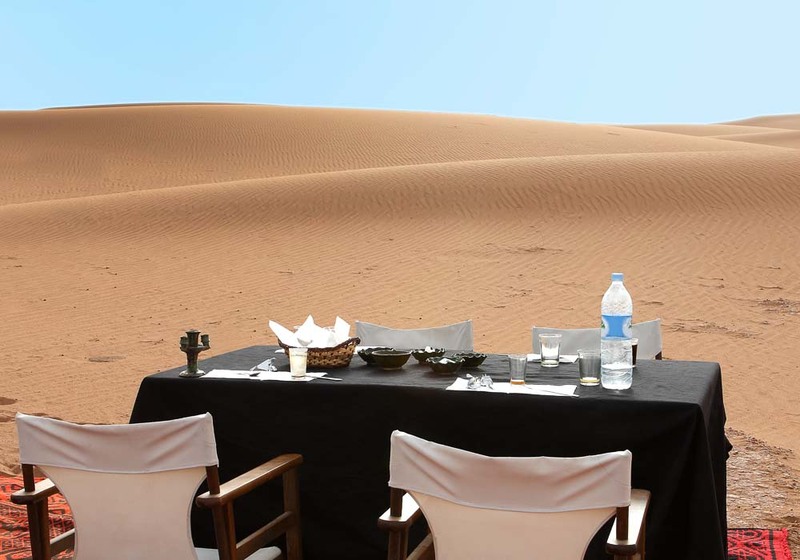 The vast desert on its doorstep means that this is an extremely popular place to take a retreat, and there are many companies who will organise trips on which you can practise yoga, meditate, practise chakra flow and even desert flow in the quietude of the dunes. Zagora is a popular destination for tourists coming to see the desert so there are many hotels in the town to cater for visitors. These are generally good quality places at reasonable prices, and many can organise treks into the desert and other excursions for you. 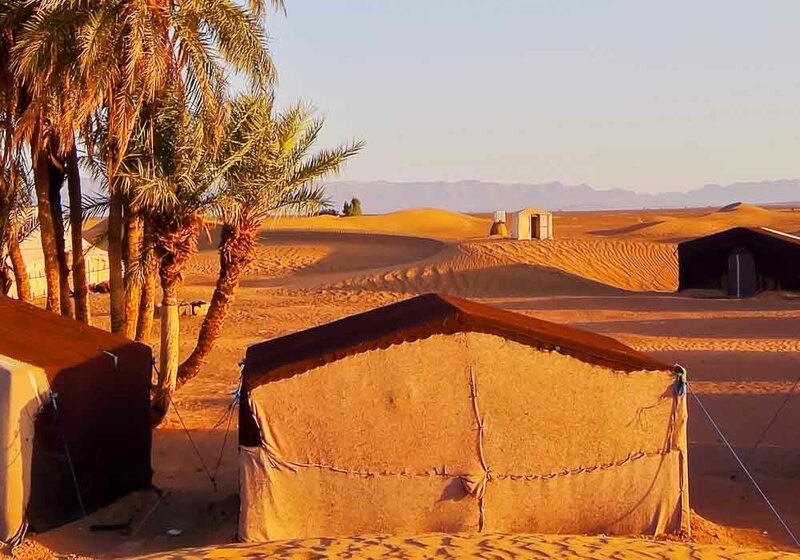 The traditional riad is another option, while a lot of people choose to get the full desert experience and spend the night in a nomadic camp outside the town. 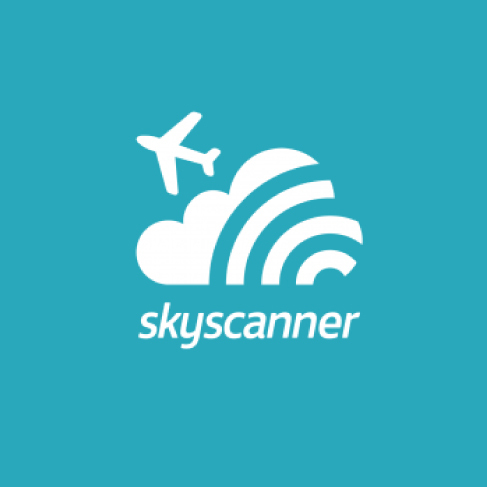 Zagora has no airport, so most people choose to fly into Marrakech or Ouarzazate which can be reached with an internal flight from Casablanca or Agadir. 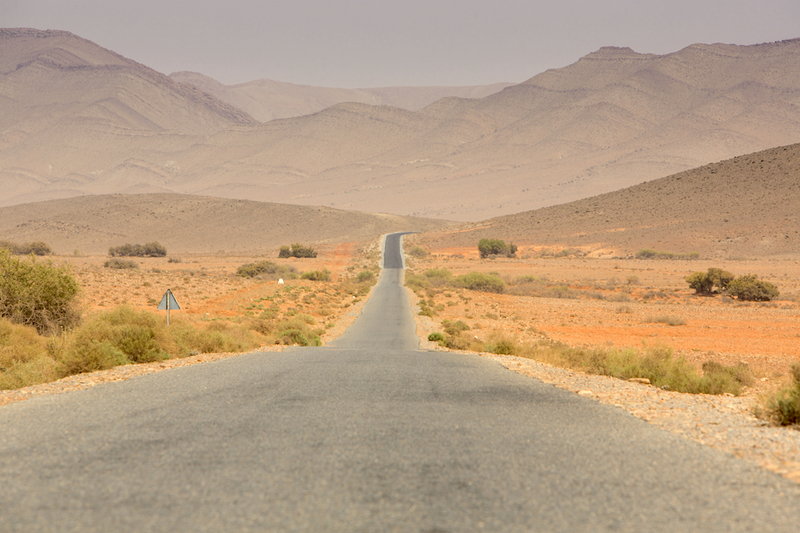 The journey from Ouarzazate is around 100 miles, while Marrakech is approximately 225 miles away. There is a regular bus service to and from both these places to Zagora, which is by far the most popular and convenient way to arrive here.